Newhall (Elementary) School, sixth grade class, 1919. In 1919, Newhall School was located at the corner of Newhall Avenue and Lyons (then known as Tenth Street or Pico Road). This was Newhall's third school site. The modern address is 24514 Kansas Street. 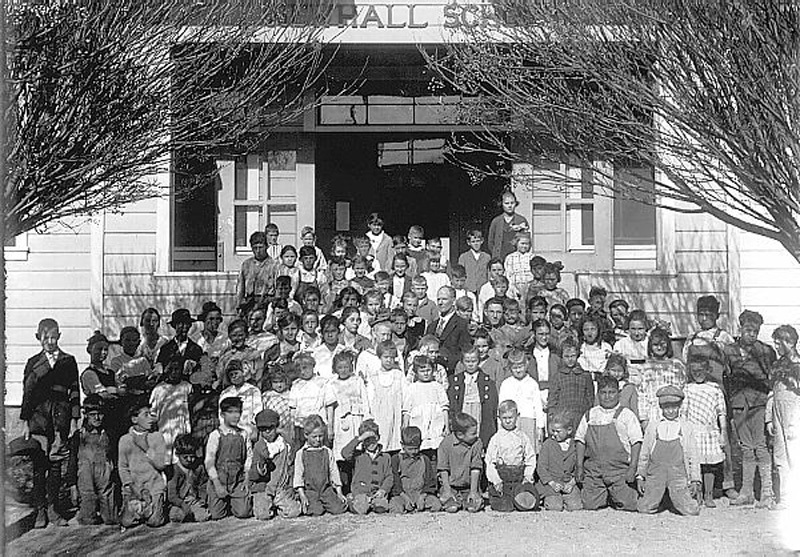 Newhall School would move to its present location at Walnut and Eleventh Streets in 1928. Frances Elizabeth Liebhart's name appears on the back of this photograph. 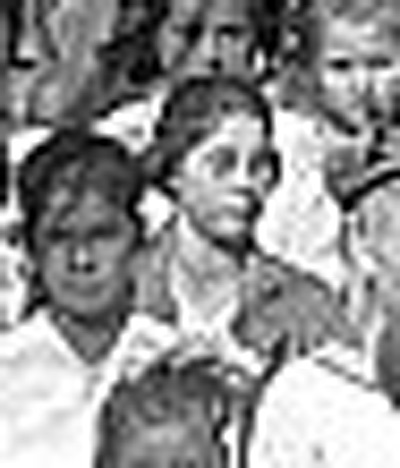 According to Gwen Newcomb, granddaughter of Nicanor "Nick" Rivera, the girl at far right in the fourth row from the top with the bow in her hair is Ida Rivera (Nick Rivera's daughter and Newcomb's mother). According to Judy Haworth, Nick Rivera's great-granddaughter, the boy kneeling at left, with his left hand to his throat and looking to his left, is Nick Rivera's son Louis Arthur Rivera. And Haworth says the girl just to the left of dead-center (see inset at right) is her grandmother, Lucy Rivera, wife of Nick Rivera and older sister to Ida Rivera and Louis Arthur Rivera. GR0220: 19200 dpi jpeg from 72 dpi jpeg.